We have been harvesting often and pulling in a pretty good load. The rain from the past two days left us with TONS of cracked cherries, but what can you do?! 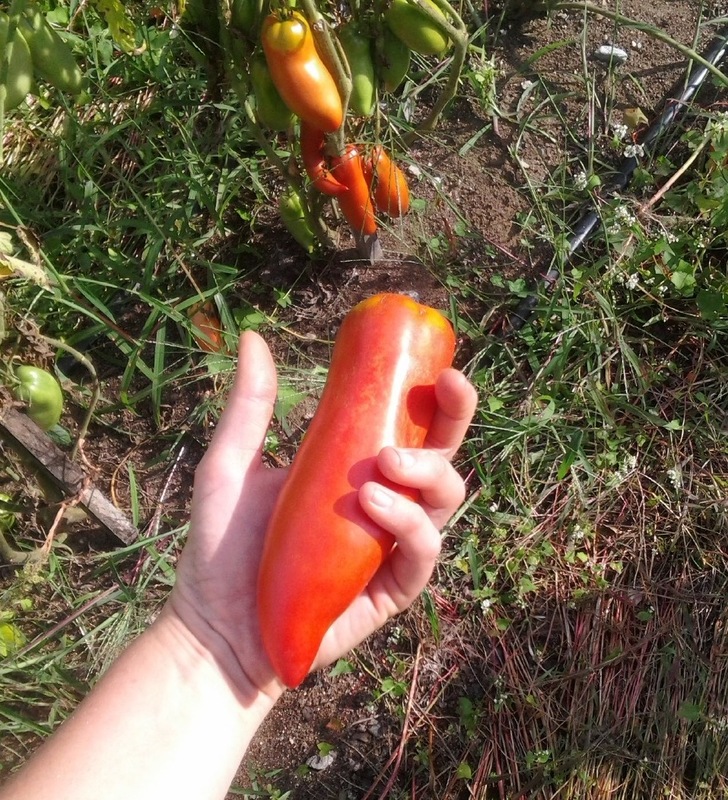 Despite the rain, I did grab this PERFECT blue beech paste tomato this afternoon. I just had to share!